Some words just sound unpleasant. Take the word abscess for instance. It is unpalatable. It sounds gross. Of course, an abscess is gross. 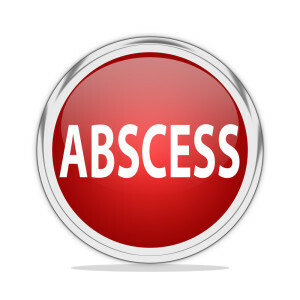 If you’ve never had an abscess you might wonder what it is. Today, your Livonia, MI dentist, Dr. James Stewart explains dental abscesses. A dental abscess is a bacterial infection in the pulp of the tooth. The tooth pulp consists of nerves and blood vessels and is very sensitive. The infection is characterized by swelling, pain, and a buildup of pus in the center of the tooth that can spread to the mouth, face, jaw, or throat. How Do You Get an Abscess? An abscess can form in any of variety of ways. Bacteria can get to the pulp of the tooth through breakage, a fracture, chip, or via tooth decay. Any sort of breakdown or opening in the enamel and dentin can allow bacteria in. Other causes include trauma to the oral cavity, underlying medical issues such as cancer, diabetes, or Sjögren’s syndrome, and improper oral hygiene. There are several symptoms that might indicate an abscess including severe toothache, pain when the tooth is touched, pain biting or chewing, red swollen gums, pus drainage, swollen jaw, a bitter taste, and bad breath. Left untreated an abscess can spread from the pulp to the root to the supporting jaw bone, causing serious damage. Sometimes an abscess ruptures, or drains on its own. Otherwise the dentist will usually drain the abscess or prescribe antibiotics to fight the infection. Painkillers can be used for the pain. Once the infection clears a root canal or tooth extraction may be decided upon.